David Campbell enjoys a varied career as a clarinet soloist, chamber musician and teacher. At the age of 23 David was appointed as the clarinettist in Sir Peter Maxwell Davies’s ensemble, ‘The Fires of London’ and he was quickly invited to play with numerous other ensembles and orchestras including the London Sinfonietta and the London Mozart Players. Over recent years David Campbell has developed the solo and chamber music strands of his career, performing in over forty countries as a soloist with leading orchestras and ensembles. His repertoire is wide-ranging but he still champions new works, many of which have been written for him. Recent engagements have included concerts in France, the USA, China and Mexico. Premières over the past few years have included concertos, written for him by USA composers, Peter Lieuwen and Charles Fitts. In June 2010, David gave a series of televised masterclasses at the Domaine Forget International Academy in Charlevoix, Quebec which can now be viewed on www.PlaywithaPro.com . David Campbell particularly enjoys the genre of the Clarinet Quintet and has appeared as a guest artist with many fine string quartets including the: Bingham; Bridge; Brodsky; Copenhagen (Denmark); Coull; Danubius (Hungary); Delme; Emperor; Endellion; Fine Arts (USA); Maggini; Medici; Solstice and Tippett. Recently, David toured the UK extensively with the prize-winning Sacconi and Solstice Quartets.. Clarinet quintets have been written for David Campbell by Richard Blackford, Roger Steptoe, Simon Holt, Gareth Churchill, Keith Amos, and Michael Stimpson, and a new work will be commissioned from Rolf Hind. As well as numerous broadcasts over the past thirty years, David has made many CDs including two versions of the Mozart Concerto with the City of London Sinfonia and Royal Philharmonic, two versions of the Brahms Clarinet Sonatas as well as the Mozart and Brahms Quintets, Messiaen’s ‘Quartet for the End of Time’, two albums of music by Charles Camilleri, the Bliss Clarinet Quintet, Phillip Cannon’s Quintet, ‘Logos’ and works by Martinu, Maxwell Davies and Carey Blyton. His recording of Peter Lieuwen’s ‘River of Crystal Light’ was released in May 2007 and the following year ‘Reflections’ – Clarinet Concertos by Carl Davis, Gerald Finzi and Graham Fitkin with the Aurora Orchestra, conducted by Nicholas Collon. In 2010 a recording of the Septet by Welsh composer, John Metcalf, was issued to great critical acclaim and Richard Blackford’s Quintet, “Full Moon” has recently been released. A recording of Roger Steptoe’s Quintet is planned for 2014. David Campbell is also passionate about music education. He is currently ‘Head of Woodwind’ at Westminster School and since 2002 David has been Artistic Director of ‘Musicfest’, a combined summer school and festival in Aberystwyth. He also gives a week of masterclasses at Dartington International Summer School. In June 2013 he stepped down from his position as a Visiting Professor at Canterbury Christ Church University. 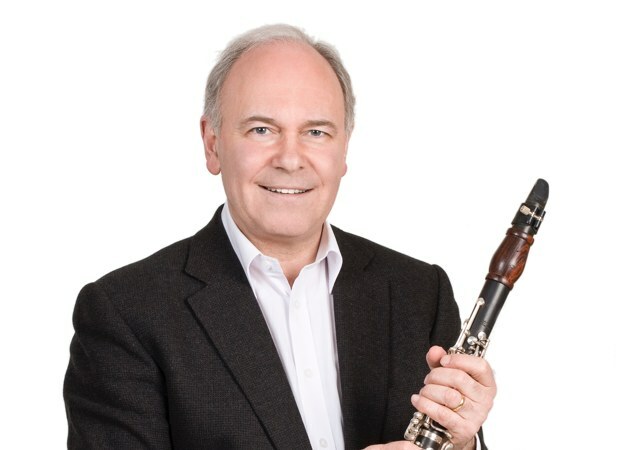 David Campbell is the UK Chair of the International Clarinet Association, and has represented the UK at the international clarinet conferences in London, Quebec, Ghent, Lubbock, Paris, Ostend, Salt Lake City, Stockholm, Vancouver and Oporto. From 2010 to 2013 he was also Chair of the Clarinet and Saxophone Society of Great Britain.